Its partnership with Net Insight comes at a time of uncertainty for Ericsson’s TV business unit amid rumours it is up for sale. Swedish media transport and resource scheduling provider Net Insight has collaborated with Ericsson to offer broadcasters end-to-end video processing and workflow automation packages. The deal combines Net Insight’s routers and video appliances with Ericsson’s contribution codecs in a managed end-to-end media contribution package for live media production. The partnership allows Net Insight to add Ericsson’s H.264 and HEVC (high-efficiency video coding) capabilities to its Nimbra portfolio. This plugs a gap in Net Insight’s portfolio since the company sees H.264 and HEVC as increasingly vital for delivery of live premium content over bandwidth constrained networks. However this comes at a time of uncertainty for Ericsson’s media and TV business amid persistent rumours it is up for sale. This appeared to be confirmed in June 2017 when Ericsson was widely reported to have hired Morgan Stanley to explore selling its media solutions business and Goldman Sachs to do the same for its broadcast and media services unit. However there is still some uncertainty over whether Ericsson’s vast TV business is included in this proposed sale, or how much of it. Ericsson’s new CEO, Börje Ekholm, stated early this year that he wants the group to focus on three core overlapping sectors: networks, digital services and the internet of things. It has not been made clear yet whether digital services include some, most or all of the TV business. If the sales do go ahead this would end Ericsson’s 10-year adventure in TV which began with the $1.4 billion purchase of Tandberg Television in February 2017, followed by other notable acquisitions such as Microsoft’s IPTV Mediaroom middleware division in 2013. Problems absorbing Mediaroom’s customers and evolving the platform to embrace multiscreen may have contributed to any decision to seek an exit from the TV business. Ericsson’s codecs plug a gap in the automation process according to Net Insight Head of Product Management Fredrik Sällström. The Ericsson group as a whole has been struggling over the last two years under assault in its core Telco business both from Chinese giants like Huawei and also a resurgent Nokia following its acquisition of Alcatel-Lucent. This has even led to existential concerns for Sweden’s model of capitalism focused on long term strategic investment rather than short term tactics. Such a model arguably works less well in the fast-moving business telecommunications has become as it veers increasingly towards mobile, requiring greater agility and quicker innovation. The partnership could in effect endure even if Ericsson does sell its media business. Cisco would be a possible buyer and as Sällström noted the Nimbra products coexist well with its transport infrastructure. 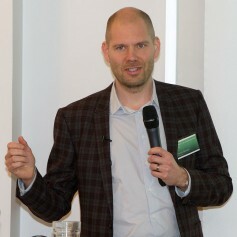 “Cisco is both a competitor and a partner for us,” said Sällström. “We can run our solutions on top of a Cisco IP network as many of our customers are doing today.” Other possible buyers for Ericsson’s TV business are Arris, Harmonic and Nokia. Net Insight’s own competitors in media transport and resource scheduling include Nevion, Media Links and Evertz.